Good biosecurity helps to keep wildlife, people and domestic animals safe and healthy by minimising the impacts of disease on individual animals and wildlife populations. Everyone who works with, or interacts with, wildlife has a role to play in wildlife biosecurity. The Australian National Wildlife Biosecurity Guidelines acknowledge the wide range of circumstances under which people work and interact with wildlife in Australia. They will help frontline wildlife workers (including volunteers) to understand disease risks and how to protect themselves, their staff and students, and the animals in their care. The Guidelines can be tailored by wildlife workers to suit their individual circumstances. All organisations which work with wildlife are encouraged to use the information in the Guidelines to assess their own biosecurity risks, and to develop and maintain an optimum level of biosecurity for their operations. The Guidelines lead the reader through the process of understanding biosecurity risk associated with wildlife, how to assess the risks (in general terms) and how to make appropriate decisions on developing and applying appropriate risk management. 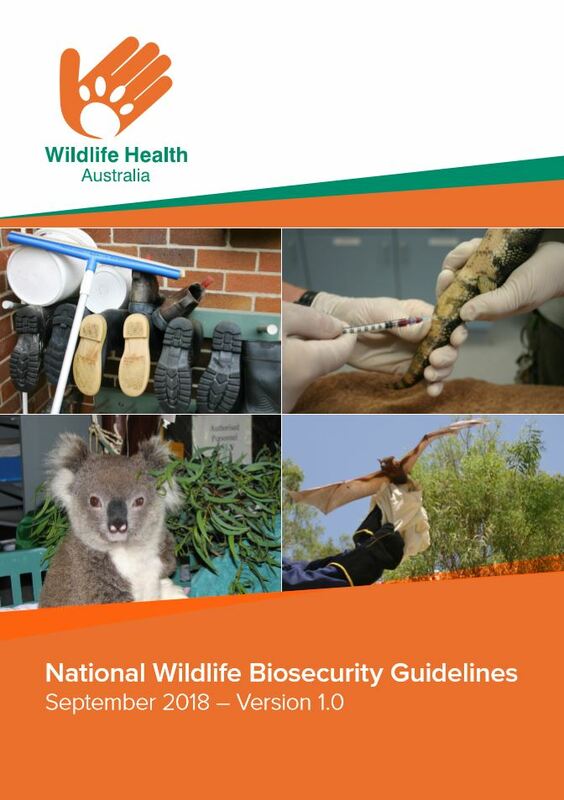 The National Wildlife Biosecurity Guidelines are a cooperative initiative between Wildlife Health Australia and the Commonwealth Department of Agriculture and Water Resources on behalf of all who work with Australian wildlife. We gratefully acknowledge the support of many of our members in the development of these Guidelines and welcome your feedback on the document (please send to admin@wildlifehealthaustralia.com.au<mailto:admin@wildlifehealthaustralia.com.au>).